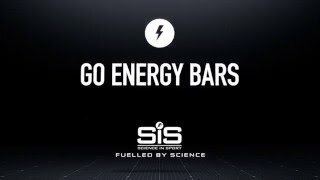 The SIS GO Energy Bar is to give you energy fast so you can train longer and harder. With this variety pack you are able to enjoy some of the great tasting flavours that SIS have to offer. The nutritious, easily digestible and high carbohydrate based snack made from fruits and wholesome ingredients. Small in size, the SIS GO Energy Mini Bars are perfect for consuming whilst riding to get your boost of carbohydrate on the go, pre-loading before exercise or snacks between meal. Depleting your carbohydrate stores during exercise is one of the major causes of fatigue. Delivering additional carbohydrate during exercise is known to improve performance, race times and delay the onset of fatigue. Proven by thousands of athletes in the world’s toughest races, it meets their demanding energy needs, the SIS Go Energy Mini Bar gives you quality nutrition.